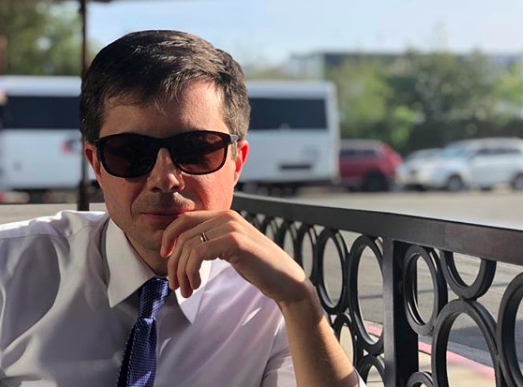 There’s no denying that South Bend mayor and 2020 hopeful Pete Buttigieg (pronounced Buddha-judge) is having a moment right now. Google just released a chart illustrating the trends in search results for the Democratic 2020 field. In the first chart, you see just how crowded the race is right now; the second shows how Pete Buddha-judge has spiked in web searches. The Buttigieg buzz has also translated into dollar bills. In his first quarter of running for president, the until-now unknown mayor has raised an impressive $7 million. Of course, we all know the real marker of a politician’s success isn’t poll numbers, positive publicity, or how much money they can fundraise. It’s memes. And if #petebuttigieg and #pete2020 are any indication, we may have our new 2020 frontrunner.